On March 19, 1931, Ed Parker Sr was born to Arthur and Eva Parker in Honolulu, Hawaii. He was the sixth of seven children born to this Mormon family. As members of the Church of Jesus Christ of Latter-day Saints, Ed Parker’s parents’ raised him to believe in God and the gospel of Jesus Christ and he followed these principles until his death. Ed Parker Sr grew up in a very rough neighborhood in Kalihi, and his religious and moral values were constantly attacked. 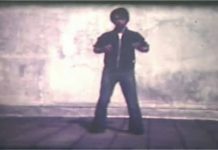 In his early teen years, Ed Parker Sr excelled in boxing and Judo and at the age of 16 he was accepted as a student of Frank Chow in Kenpo Karate. Ed quickly became addicted to the martial arts and he learned everything he could as a student of Frank’s. Frank Chow then recommended that Ed continue his instruction under Frank’s brother, Professor William K.S. Chow – a student of James Mitose. From the first moment Ed Parker Sr watched Professor Chow move, he was deeply enthralled and it was a spiritual experience for Ed. Mr. Parker knew from the depths of his soul, that Kenpo would be his life’s work. Ed Parker Sr graduated from Kamehameha High School, and went on to study at Brigham Young University (BYU) in Provo, Utah. 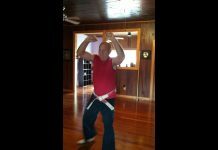 Ed was dedicated to his academic studies, and to his martial arts training and his goal was to master Kenpo and receive his black belt from William K.S. Chow in the Art of Kenpo Karate. The onset of the Korean War delay Ed Parker’s progress as he served a 3-year stint in the United States Coast Guard. 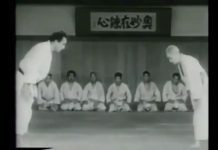 Ed Parker Sr. finally received his black belt in Kenposhodan on June 5, 1953. He opened his first dojo in Provo, Utah in 1954. Ed Parker Sr graduated from Brigham Young University with a Bachelor’s in Sociology in June of 1956. He moved to California and opened another Kenpo Karate Studio in Pasadena, California. Ed Parker Sr became well known in Hollywood and was known for training stunt men and celebrities. His most notable student was Elvis Presley. As Ed Parker’s Kenpo developed so did his Karate Organization, becoming national and then global. Ed Parker Sr had to change the name of his Kenpo Karate Association to the International Karate Association around 1958. Ed Parker soon found himself leading, directing and serving an ever-increasing number of international groups across continents, including Europe, South America, Australia, South Africa and the Oceanic region of New Zealand. 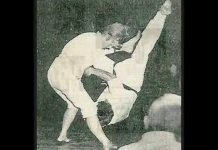 In California, Ed Parker Sr was exposed to other martial artists from a wide variety of different martial arts systems. Many of these martial artist were willing to share with him about their arts. 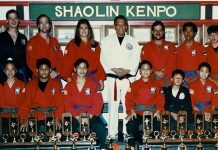 Ed Parker Sr shared with great martial artists like Ark Wong, Haumea Lefiti, Lau Bun and Jimmy W. Woo, who developed many of the American Kenpo forms that are still taught to students today. These martial artists were skilled in such arts as Splashing-Hands, San Soo, T’ai Chi, and Hung Gar, and their influence is visible in historical Kenpo as well as in the principles that are currently taught in American Kenpo. It was Ed Parker’s exposure to these Chinese training concepts and history that led him to write his second book, Secrets of Chinese Karate, which he published in 1963. 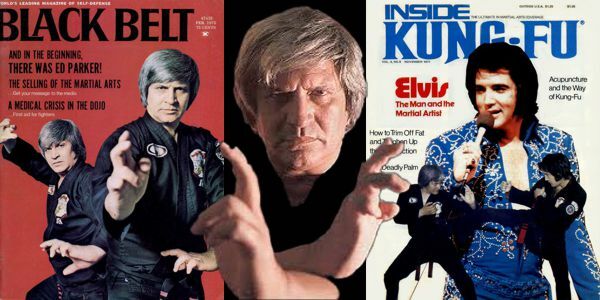 In his books, Ed Parker Sr compared karate, which was better known in the United States, and the Chinese methods he was learning and integrating into his American Kenpo Karate art. 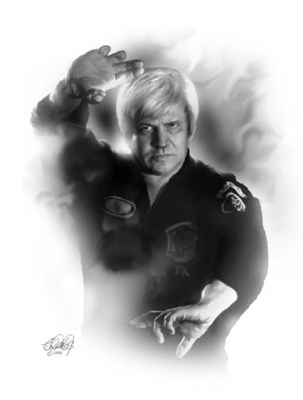 Ed Parker’s Kenpo was always an evolving art as Ed Parker Sr worked to create a combative martial arts system that would suit Americans, one which enabled a person to execute multiple strikes to several opponents in many different directions. In 1964, Ed Parker Sr started one of the most famous martial arts tournaments, the International Karate Championships, held in Long Beach, California. Competitors came to participated from many different styles and this brought together martial artists from all over the martial arts world. The International Karate Championships would launch the careers of the legendary Bruce Lee, Chuck Norris and many other prominent martial artists. 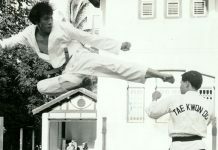 One of the most innovative martial artists who ever lived, Edmund Kealoha Parker, Sr. passed away on December 15, 1990. A Quick View of Ed Parker Sr.